​We are welcoming spring here at The Avsource Group and are looking forward to a prosperous year ahead. We’ve been busy with several new and ongoing projects. We’ve recently entered a new partnership and are moving forward with expanding our services to include flight operation services. See official press notice below. The Avsource Group, Inc. and Fly Fast Aviation, Inc., a subsidiary of MMO Aviation Services Inc., have joined forces to provide your ferry/test flight needs. If we can be of service, please contact Jim Young, President and Chief Test Pilot, through the link below. ​We completed a Ferry permit for Vallair 737 to move from Dothan, AL to San Antonio, Texas. Completed an Export of an Aircastle A330 to Argentina. Executed an export and ferry permit of a Sideral 737 to Brazil. Completed a conformity inspection of an Aerothech 777 in Victorville, California. Performed an aging aircraft inspection of ex-Singapore airlines 747F in Singapore. Ongoing project in San Antonio, Texas for a Vallair B737-400. ​In Addition to the A319s, A320s, A330s and B767 we are currently working on, we have added 4 new A350’s to the list of aircraft we are preparing for transition (redelivery, sell or sublease) for Latam Brasil. Our reps are working in Sao Paulo & Sao Carlos (Brasil), San Jose (Costa Rica) and Abu Dhabi (UAE) to make sure Latam can make these aircraft transitions in the most efficient, economical way.We are continuing to assist our clients on the pre-buy inspections of two Embraer 195s. We are completing a mid-lease inspection of another Azul aircraft. We are currently in the process of finishing the delivery of a B737-300F to Sideral. 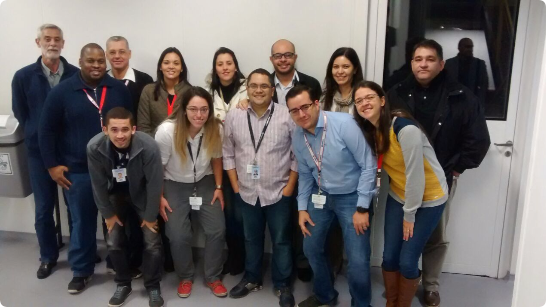 Good Job to our Sao Paulo team for yet another successfully completed redelivery of a A320 for Latam Brasil. ​​We trust everyone had a good holiday season and that you are beginning a prosperous new year. We begin this new year with a relocation and re-organization of our company. We have moved our primary location from Mesquite, NV to Rifle, CO and we have changed our company name from Avsource LLC to The Avsource Group, Inc.
We completed a special flight permit to France and export airworthiness certificate for a Boeing 737-400 freighter conversion to Romania. We completed a special flight permit for a 737-400 from storage in California to Dothan, AL for a cargo conversion. We are preparing to issue a special flight permit and export airworthiness certificate for a Boeing 737-300 to Brazil. We are preparing to issue an Export Airworthiness Certificate for an Airbus 330 to Argentina. ​We are still assisting LATAM during redelivery process of several aircraft A319/320, A330 and B767. We have completed 14 A330s with 3 more to go. We completed a B737-400 full analysis for Modern Airlines. In service evaluations were completed within major South American airlines for clients. We are currently assisting Vallair on a transition (sale) of a B737-400F to Sideral Airlines in Tampa, FL and Curitiba, Brasil. ​God Bless America (North and South). ​We completed a US export certificate of airworthiness and a special flight permit for two new Boeing 737-800s to China. We are preparing to issue a special flight permit to France and export airworthiness certificate for a Boeing 737-400 freighter conversion to Romania. We are preparing to issue a special flight permit for a 737-400 from storage in California to Dothan, AL for a cargo conversion. We are preparing to issue a special flight permit to Singapore and export airworthiness certification for a Boeing 777-200 to Bermuda. We performed a pre-buy inspection/report on a 737-300 for a leasing company including video borescopes for the engines. We performed pre-buy inspections/reports on two new Pilatus PC-12 NG aircraft that went to operators in Brazil. We performed a conformity inspection on a 777-200 exporting to Bermuda. Our chief DAR, Gary Loyd, is now authorized to perform Aging Aircraft Inspections on behalf of the FAA. Please give us a call if your airplane/s require this service. ​We keep assisting LATAM in phasing out their A330 fleet plus A320s & B767 redelivery processes including records organization, structural items engineering support, cabin and internal inspections, workscope preparation and all aspects of a redelivery process. We are doing an airworthiness directive (AD) review for a 737-400 for Modern Logistics. We completed midlease inspections for different customer in seven E195 operated by Azul Linhas Aereas. We completed midlease inspections for a customer in nine A319/A320/A321 operated by Latam Brasil. ​It’s been a busy month for all of at Avsource with the recent passing of our Patriarch and founder, Barry Hicks. It was so good to see so many of his friends and colleagues at the Memorial service last Sep. 10th. He is greatly missed as we continue the work of the company that he started. We are grateful for all the donations and cards that came in Barry’s memory. (see the Gary's Eulogy speech below). Business is good as we still receive requests for additional services. We look forward to working on those. ​We completed a US export certificate of airworthiness and a special flight permit for a Boeing 737-341 Freighter to South Africa. We are actively completing a fresh annual inspection on a Mooney M20F. We ran the engine last week for the first time in 9 years. It cranked right up as though it never went to sleep. All indications were in the normal range. Remaining tasks are to install the flight instruments, radios, and perform the final operational checks. We are preparing to issue special flight permits and export airworthiness certificates for two Boeing 737-800s going to China this month. ​​We are still assisting LATAM in phasing out their A330 fleet, 14 A319/A320s and 1 B767. We were also awarded a contract to provide aircraft maintenance records research for a 737-400 operated by Modern Logistics. This work is well underway. Barry Hicks was a special person and admired by many. He always had a smile and pleasant, respectful greeting for everyone. He usually called me “Mr. Gair,” and he greeted others in like manner with a humble attitude. We knew each other and worked together for the last 30 years. Of course, in that span of time we shared many experiences. Barry was an independent thinker, sharp witted, and very unpredictable as to what he would say next. He did not speak using clichés. He truly had a mind of his own and spoke accordingly. We traveled many places together around the world; France, Italy, Brazil, Bangladesh, to mention a few. He would always use as much of the local language as he could with foreign words like Bonjerno, Grazzi, Prego, when we were in Italy. And Bon Dia, Toto Bon (bone), Toto Ban (bane), Muito Obrigado, in Brazil. He always enjoyed the local cuisine, especially the Gelato of Italy, which he could never pass up. Barry always said “life’s too short for cheap ice cream,” so we would splurge for the Gelato. We would be in meetings together or on the phone to discuss business ideas and if I suggested something he liked, he would say “keep thinking, Butch. That’s what you’re good at,” (a famous line from the movie, Butch Cassidy and the Sundance Kid). He always had a humorous comment to the business at hand. We might be in a meeting with a client to sign a business agreement and Barry would say, “you hold the pen, we’ll move the paper.” And “move the paper” he did. Barry saw to it that we had service agreements with most of the major airlines, leasing companies, and manufacturers of transport airplanes. That put food on our tables and kept the kids in shoes, for which we are grateful. Barry always respected the religious beliefs of others and I’m sure he won’t mind me telling you this. He was a God-fearing, gun-toting, American family man who stressed the importance of The Golden Rule. You may not agree with his philosophy or his personal religious beliefs, but one of his favorite scriptures comes from Joshua 24:15, “…but as for me and my house, we will serve the Lord.” Rest well Mr. Hicks. You have now landed on that runway paved with gold and will always be the honored Emeritus and Patriarch of The Avsource Group. It is with sincere regret that we inform you of the passing of our dear colleague, Barry Hicks. He fought a difficult and grueling battle with ALS for the last 3 months. Please join us in keeping his family in our thoughts and prayers. Barry worked at McDonnell Douglas in Product Support from 1986 to 1994 and then became the founder of our aviation consulting firm, The Avsource Group, which has been in business now for more than 20 years. He was a major contributor to the Launch Teams for the MD-11 as it was introduced to the airlines around the world. He enjoyed flying the small airplanes he owned throughout the years and traveling around the world. Although Barry is no longer with us, he will always be the honored Emeritus and Patriarch of The Avsource Group. ​We completed a US export certificate of airworthiness for an Airbus 330-200 to Argentina. We are actively completing a fresh annual inspection on a Mooney M20F. 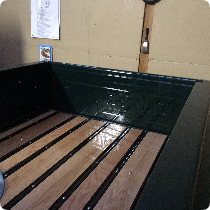 We installed all new side windows last month, and re-installed the previous interior and engine instruments. Remaining tasks are to install the flight instruments and perform the final operational checks. ​We are still assisting LATAM in phasing out their A330 fleet and 3 A320s. In mid-August we were awarded 11 additional aircraft for redelivery preparation for Tam/Latam. We were also awarded a contract to provide aircraft maintenance records research for a 737-400. At the passing of our Founder, Sr. Partner, and General Manager, Barry J. Hicks, we are reaching out to let you know that the services provided by The Avsource Group, will continue as always. We appreciate each and every one of you and we are committed in continuing to provide the best, most complete, and comprehensive service available in our worldwide industry. Our other Sr. Partner, Mr. Gary R. Loyd, will be assuming the general management position of The Avsource Group. Gary is available for questions regarding any services, schedules or needs you may have and the entire Avsource staff is here to assist you in any way. Names and contact information are listed below. Thank you again for your continued business. We look forward to a prosperous and continuing working relationship. ​We completed a US export certificate of airworthiness and a special flight permit for a new 737-800 to China. We look forward to exporting two more yet this summer to China.We issued a special flight permit to a DHC-6-300 (twin otter) for an overweight operation from the US to Jordan. We performed an on-line records review for a lessor on a 737-400. 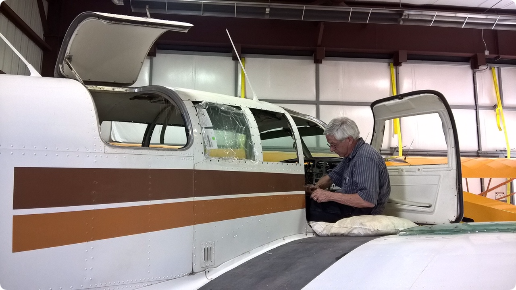 We are actively completing a fresh annual inspection on a Mooney M20F. We just installed all new side windows. 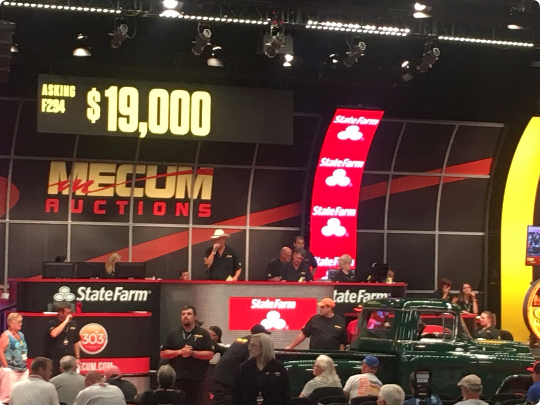 The 1957 Chevy pick-up that we recently restored sold at the Mecum Auction in Denver. ​We are still assisting LATAM in phasing out their A330 fleet and 3 A320s. Please see the recent photograph of the Avsource Brazil Team. They are doing an outstanding job. We issued a special flight permit to ferry a 737-400 from Brunswick, GA to Miami, FL where the airplane will undergo heavy maintenance and a passenger to freighter conversion. ​We are supporting TAM (Now LATAM Brasil) on A330s and A320s redeliveries and selling. Plus we will be performing Mid Lease Inspection in 4 B777s for Aircastle in June. 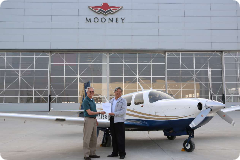 We completed the first US export certificate of airworthiness for a Mooney M20TN (Acclaim) to China. The airplane received its Chinese registration and airworthiness certificate last week. General aviation is just beginning to open up in China. Plans are underway for the new M10 Mooney Trainers to be manufactured and sold there. The first prototype is now under construction at the Mooney facility in Chino, CA. We issued a special flight permit to deliver a 757 Freighter to Belgium following the export certificate of airworthiness. The airplane is now in Belgium being readied for service with TNT Airlines. We are still assisting TAM in phasing out their A330 fleet and 3 A320s. 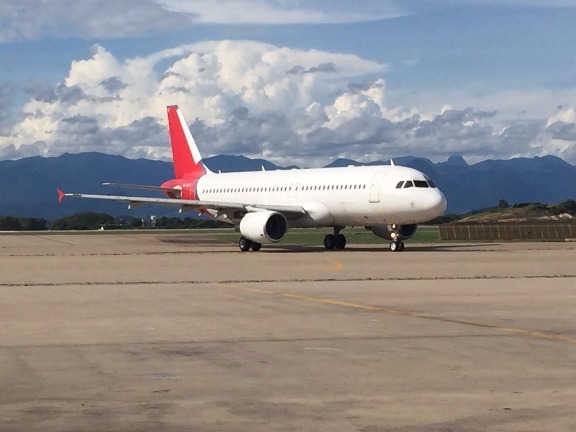 We completed In Service Evaluations and Mid Lease Inspections of 10 A320s at Avianca, Brasil for Aircastle. We completed a pre-purchase inspection of 1 B737-400F for Vallair. Modern Logistics, a new cargo airline based in Campinas, SP, is negotiating to have us assist them on the implementation of their Technical Control System primarily on AD analysis and control. We completed another US export certificate of airworthiness and a ferry permit for one 737-322 to Mexico. The airplane will go into passenger service with Magni Charters. We’re entering our second year of routine Export Certification of cargo door kit parts for a major P2F supplier. We’ve received NDA to discuss representation of an aircraft components firm to expand manufacturing. We’re awaiting vetting of an expert witness for a litigation case to represent a major carrier. We’ve seen an increase in queries regarding business aircraft certification and transactions globally. We’re involved with several regional and company development marketing plans for business growth opportunities. We are still assisting Tam in phasing out their A330 fleet and added a preparation of 1 A320 redelivery and 2 A320s for sale in Congonhas, Sao Paulo. We are also working on a mid lease inspection of 10 x A320 at Avianca, Brasil in Congonhas, Sao Paulo. Just now we are beginning a pre-purchase inspection (that will be followed by a lease back) of 1 B737-400C operated by Modern Logistics to Vallair. Yesterday we closed the Azul project with 6 ATR-42/-72s returned to lessors and 3 more prepared. ​We look forward to seeing many of you at the MRO Conference in Dallas, TX next week. Until then, God Bless America (North and South). ​Last month was a typical month for winter in Colorado when activity seems to slow down just a bit. We love the 4 seasons and the opportunity to enjoy the variety of the pace of life in the Rockies. We completed another US export certificate of airworthiness for one 737-300PCF to EASA (European Aviation Safety Agency). The airplane was exported to Denmark to fly with Jet Time. 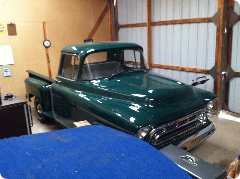 During our spare time, Gary has been busy restoring a 1957 Chevrolet model 3100 pick-up. It was an enjoyable and relaxing project because for once, he can ignore all the FAA regulations and just have fun with the work at hand. The vehicle belongs to a family friend who passed away in December, 2012, just as the individual body pieces were coming out of the paint shop. Gary promised the cancer-stricken owner that he would finish the restoration for his wife and family left behind. 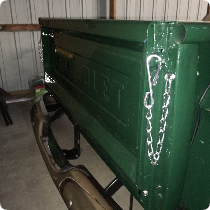 It took 150 work days since Dec. 2012 to complete the restoration but it is now complete and the Jim Taylor family is very pleased with the outcome. Gary is anxious to get the truck out of his hangar to make room for the next project, which is hopefully an airplane this time. 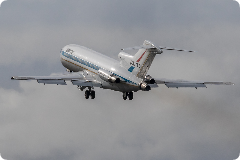 Also during our spare time, one of our key associates, Bruce Beadell, had the pleasure of donating much of his time and skills to the Boeing Museum of Flight in the effort to resurrect the first 727-22, N7001U, for one last flight from Everett to Boeing Field in Renton. 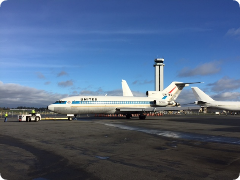 This airplane operated with United Airlines for the first 27 years of its life before being donated to the Boeing Museum of Flight. Bruce utilized his FAA DAR authority to issue the special flight permit for the flight which took place on the morning of March 2, 2016. Gary was instrumental in obtaining the environmental permission for the flight because the airplane did not meet stage III noise levels. Barry had the thankless duty of dealing with the legal aspects of Avsource Services in making sure our donated services were held harmless in the event of things unforeseen. Many thanks also to volunteer associate Joe Kinsella for his work in finalizing the status of airworthiness directives. Joe’s prior experience at United and his consulting experience brought a lot of expertise to this project. Many thanks to all the Avsource participants and congratulations to the Boeing Museum of Flight. We look forward to seeing many of you at the MRO Conference in Dallas, TX next month. Until then, God Bless America (North and South). ​We begin this New Year, 2016, with a fresh overhaul of our website. This is something that we have neglected for too long. It is our desire that our website be meaningful and useful to our valued clients and associates, both in the USA and Brazil. We saw several significant events in Aviation in 2015. Along with the introduction of many new aircraft models, we saw the termination of the C-17 production line in Long Beach. 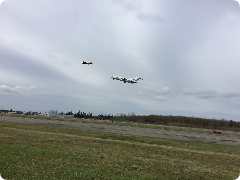 We also saw the drastic expansion and interest in the light drone market and the new requirement from the FAA to register all radio controlled aircraft and drones. There was a bit of good news in the passing of the Pilots Bill of Right 2 near the end of the year. This will be good for the general aviation crowd and those GA pilots who have a special interest in class III medical reform. We lost three valued associates in death this past year. John Brower and Harold Nedrow worked for Avsource after retiring from lengthy careers at McDonnell Douglas, Long Beach. Tom Ruffino worked for Avsource after retiring from a successful career with TWA. All were dedicated professionals and will definitely be missed. 2015 also marked 21 years for The Avsource Group. We did not celebrate as such, but we surpassed being in business for 21 years in November. It has been said that “90% of small businesses fail within the first 5 years. Furthermore, 90% off those 10% remaining fail within the next 5 years.” This is truly a remarkable feat in today’s business world and is certainly worthy of recognition. We look ahead at 2016 with positive thoughts and hope. We wish all of our clients and associates a happy, healthy, and prosperous New Year.